It’s past time for Britain’s Labour opposition to get its act together about cannabis. 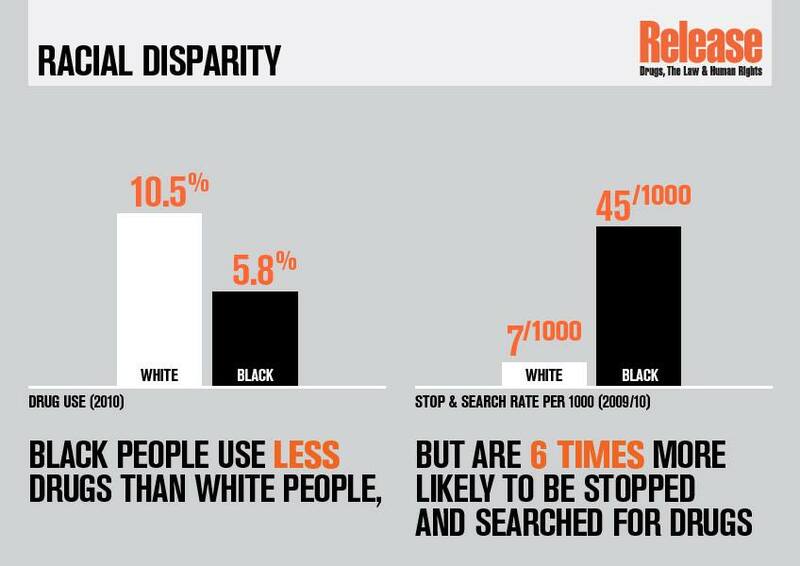 If you’re black and going about your day in England and Wales then you’re 6.3 times more likely to be stopped and searched by police, a new report from Release and LSE revealed this week. Guns and knives are the focus of only a fraction of these searches: most are for low level drug offences, above all cannabis. And despite government figures suggesting that use of the herb is significantly lower among black people than among whites, in some areas, such as Dorset, being black makes you 17 times more likely to be stopped. Get caught in possession of cannabis in London, and for blacks the likelihood of then being charged multiplies 5 times. In the US, the arrest ratio of blacks to whites is just three to one, less than half the UK. Looked at from the perspective of Michelle Alexander’s groundbreaking work on America’s War on Drugs, The New Jim Crow, these statistics, shocking in their own right, also beg the question of what exactly British cannabis policy is intended to do. Should we take the government at its word and assume that the purpose is above all to ‘safeguard’ the nation’s mental health from the scourge of ‘skunk’? Or is Michelle Alexander closer to the truth when she argues that drug policy is part of a coercive system of social control, one that primarily targets marginal groups and minorities? British Asians, for example, are 2.5 times more likely to be stopped. Just the last 12 months have seen more than half a million people stopped and searched for drugs – one person every 58 seconds. The arrest rate is a mere 7%. Skunk, ostensibly the prime target here, is the generic term preferred by politicians and hacks for modern, intensively bred hybrid strains; the idea being that these new forms of cannabis are of unprecedented and dangerous potency. There are obvious holes in the skunk myth: the government’s latest figures, for example, state that it has on average only a percent or so more THC than traditional imported herbal cannabis (14%, as opposed to 12.5%). Even taken on its own terms, the war to rid the nation’s streets of this alleged evil has been lost in spectacular fashion: over the course of successive New Labour governments, amid endless blithering about its dangers, skunk took the UK by storm, forcing out the supposedly safer staple of traditional Moroccan hash, until in the space of barely a decade the pungent menace came to account for around 80% of cannabis consumed in the UK. Successive British governments have been getting it badly wrong on cannabis. And the Labour Party, now drifting in opposition under Ed Miliband, can take the largest share of the blame for that. Across the Atlantic things look very different: the leader of Canada’s opposition Liberal Party, Justin Trudeau, has just admitted to smoking cannabis while an MP and has subsequently surged ahead in the polls. Earlier in the summer, Trudeau announced his support for reforming Canadian cannabis laws. He now leads at 38% to the Harper government’s 29%. Canada has recently been tipped by Ethan Nadelmann, along with the Netherlands, as a country likely to be the next to ‘legalise’. South of the border this year alone cannabis reforms of one kind or another have passed in Oregon, Illinois, Maryland, New Hampshire, Hawaii, Maine, Vermont, and Nevada. Colorado and Washington, which are now celebrating Eric Holder’s historic Thursday memo, will be joined later in the year by Uruguay. Like Canada, the UK is ripe for change—far more so in fact than a country such as Uruguay. An Ipsos Mori poll in February this year reported that 53% of the public wants ‘legalisation’. Cannabis can be found in every walk of British life, every strata and subculture—not least among politicians. David Cameron and Boris Johnson have admitted to past use, either of ‘pot’ or ‘harder drugs’. A Sun investigation last month found that toilets in the House of Commons appear to be routinely used for sniffing cocaine. There seems little reason for Miliband not to follow Justin Trudeau’s lead. But more likely Britain will be stuck with the Ed Miliband who leapt to criticize former police officer and Home Office minister Bob Ainsworth when he called for cannabis decriminalization. ‘Honest Ed’ can be seen here smilingly gormlessly as he is photographed beside a grinning, red-eyed student, seemingly oblivious to the fact that the student is high and has in his hand a gigantic green bong. Labour’s history with cannabis is less than heroic. Terrified of the issue, the Conservatives’ law and order credentials, and the right wing popular press—above all the Daily Mail—they have ended up out-nastying even the Tories. Reacting to hysteria drummed up around the issue of skunk and mental health, Labour forced through more prohibitive laws and granted yet greater police powers. How exactly a move such as Gordon Brown and Jacqui Smith’s 2008 reclassification to Class B was going to protect anybody’s mental health was never explained, beyond the fact that it was important, in Jacqui Smith’s words, to ‘send a message’. What, we are left wondering after the report from LSE and Release, was the message that Jacqui Smith wished to send? In the absence of other compelling evidence, you could be forgiven for thinking it was ‘don’t be black in Dorset’. Back in 2002, a Labour government came within a hair’s breadth of decriminalizing the use of cannabis. Home Secretary David Blunkett planned a downgrade to Class C, a move which, with the way the law stood at the time, would have put an end to all criminal charges for possession and removed from the police the power of arrest. As far back as 1981 experts on the government’s Advisory Council on the Misuse of Drugs (ACMD) had been recommending reclassification for this very reason, and Blunkett’s proposal could claim the support of a mountain of favourable reviews that had been commissioned by the Department of Health and the Home Office. In May, the Home Affairs Select Committee (HASC), on which current Prime Minister David Cameron then sat, gave its backing; and by July, with a solid consensus established among legislators, experts, and the various advisory bodies, the Home Secretary was able to announce that cannabis would be reclassified within the year. The weed was about to be freed. Or rather the millions of British people each year who make an informed choice to enjoy it were. Yet Blunkett hit a wall of resistance. Catching wind of the reclassification announcement, as Paddick explains, ‘at the last minute, Mike Fuller, then a DAC in the Met with responsibility for drug policy, and Ian Blair, then deputy commissioner, went and saw Blunkett and convinced him to retain the power of arrest.’ Where he had intended for the downgrade to be a bold assertion his authority, the Labour Home Secretary now found himself facing the police. They weren’t impressed, and he swiftly beat a retreat. The Chair of the ACMD, Professor David Nutt, wrote in the review, which was issued on May 7th 2008, that following ‘a most careful scrutiny of the totality of the available evidence’: ‘the majority of the Council’s members consider– based on its harmfulness to individuals and society– that cannabis should remain a Class C substance’. This was rejected outright by Jacqui Smith, who explained to MPs the same day that ‘my decision takes into account issues such as public perception and the needs and consequences for policing priorities’. The ACMD was cast out into the wilderness. Brown, who had just led his party to a comprehensive defeat at the local elections, got the ‘crackdown on cannabis’ stories he so desperately needed. As for the faceless masses on the receiving end of British policing, they were already criminals. 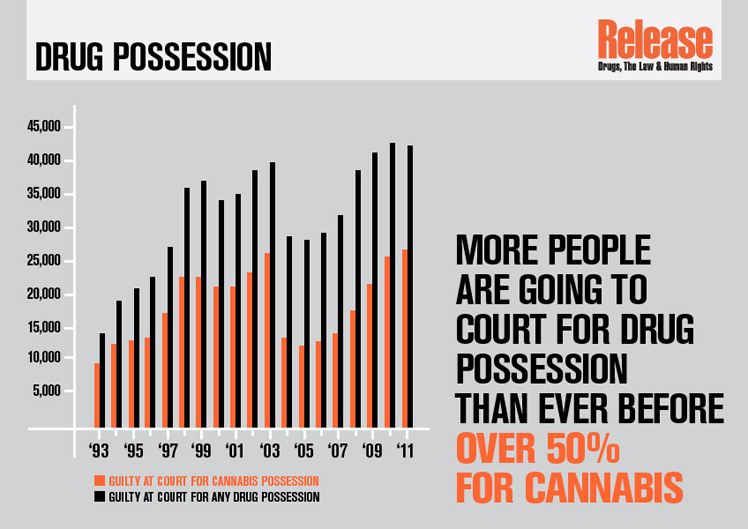 Reclassification to Class B now meant the added threat of increased prison sentences for possession. Stop and searches—nearly all under PACE and related legislation—had begun back in 2001. They went on to hit a ten year peak in 2010/11 at 1.3 million. That same summer rioting exploded across England, two days after Mark Duggan was shot dead by police on a curbside outside Tottenham Hale station—the trigger coming when, it is alleged, officers at a protest on August 6th forcibly restrained a sixteen year old girl. 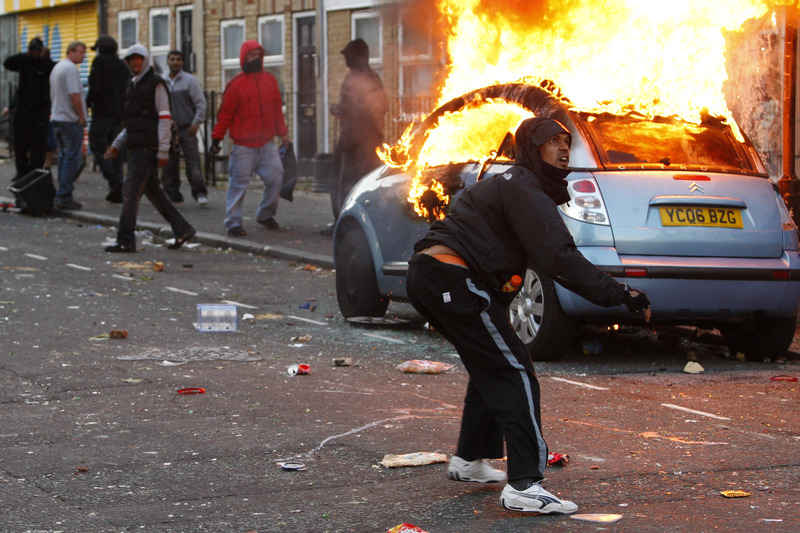 Burning and looting spread from North London to Bristol, Birmingham, and Manchester. The Guardian’s Reading the Riots investigation concluded: ‘Although rioters expressed a mix of opinions about the disorder, many of those involved said they felt like they were participating in explicitly anti-police riots. They cited “policing” as the most significant cause of the riots, and anger over the police shooting of Mark Duggan, which triggered initial disturbances in Tottenham, was repeatedly mentioned—even outside London.’ Outside observes like Professor Gus John from the University of London drew the same conclusions. ‘What is really stopping this happening’ Beckett adds ‘is the media and specifically the right wing popular press.’ The BBC surely also deserves special mention. The Labour Party needs to get its act together on cannabis. There is a shameful legacy to be undone. 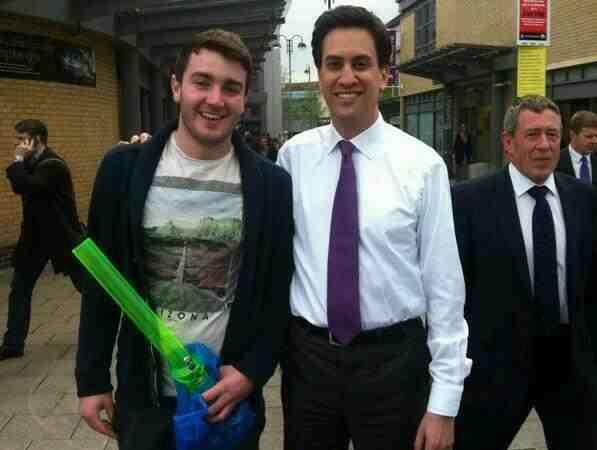 It’s time for Ed Miliband to take a leaf out of Justin Trudeau’s book, even if he won’t take a toke on the spliff. Most quotations from British sources are taken from Cannabis Nation: Control and Consumption in Britain, 1928 – 2008 by James Mills. American ones are from The New Jim Crow by Michelle Alexander. If nothing else, the war on drugs must end because no one is capable of waging it indiscriminately enough and it’s starting to look really embarrassing.